Fitness trackers are seeing greater growth in the industry than smartwatches are, and one reason pertains to cost: fitness trackers are a more inexpensive way to get fitness data on the wrist, and consumers aren't willing to pay too much for their tech-packed devices. With the rise in fitness tracker growth, though, some new consumer expectations are rising to the surface -- meaning that the next-generation fitness trackers will have to pack more into wrist wearables in order to stay current and trendy. A new report by the NPD Group titled "The NPD Group Connected Intelligence Wearables Industry Overview and Forecast" shows that heart-rate monitors are now an expected standard for most fitness trackers nowadays and that built-in GPS is having its share of growth in demand on the same wrist wearables. The Apple Watch 2 now has in-built GPS, which NPD Group believes will drive the demand for built-in GPS among fitness tracker diehards. The Apple Watch 2 isn't alone in this, seeing that Samsung's upcoming Gear S3 Frontier and Gear S3 Classic will both feature in-built GPS and that even Samsung's Gear S in 2014 had the feature. There are a number of fitness trackers on the market that also contain built-in GPS, such as the Fitbit Surge, Garmin Forerunner 35, and the Garmin Forerunner 235 GPS. 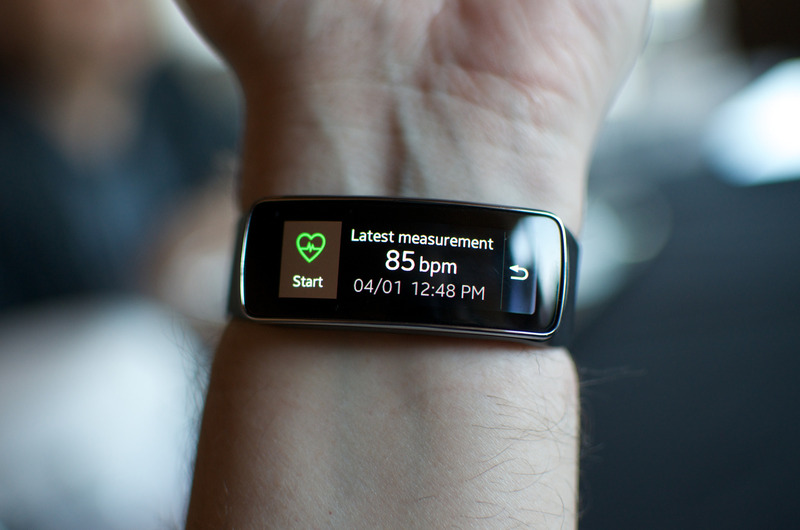 Heart-rate monitoring allows the user to measure his or her heart rate during the day; in auto HR modes such as the one found on Samsung's Gear Fit2, for example, users can have their heart rate and sleeping tracked automatically without pressing a button. Built-in GPS allows runners and athletes to have their health data on the wrist that they can then sync to their smartphone and favorite health app. The Apple Watch 2 still doesn't have 3G or 4G connectivity (which won't arrive until later generations) but built-in GPS will make it a little easier to not have your Apple Watch tethered to the iPhone (or fitness trackers tethered to smartphones). Built-in GPS, as is the case with heart rate monitors, will cost extra, so fitness trackers will turn more expensive over the next few years. Some want fitness trackers for $99, but most will cost twice as much due to the inclusion of new and additional tech. Whether consumers find increasing costs acceptable or not is another matter entirely. Do you agree with these findings? Is Built-in GPS the next big thing for fitness trackers? Do you use heart-rate monitoring and built-in GPS on your wearable on a regular basis?